Blogging is the essential for many business out there. But, what's more interesting, is the fact many normal people like you and me can utilize the power of blogging to reap good benefits. You can build a following of people who are interested in your niche, grow personally and earn money on a very side note too. Before you begin your online expedition, get yourself a kick. Shall we. Blogging is simply writing posts on a set up frequency. Let's say you write a post every week on some topic. So your audience and search engines will come at designated time to reap the new articles. Sounds cool. You might love football and you keep records of all news that comes across. You can start a blog where you give insights and some news on football. Thus you can start a blog. Many people choose their blogging topic like this. There is no harm in it. But, if you have even a slightest interest in earning money and you need to evaluate your topic before going into it 100 percent. Let's say you wish to write about benefits of yoga. There are some things you need to consider. Are you passionate enough to write consistently new post about yoga. Because in future if you shift to gardening post, then your build up audience will be lost and you might need to start again. Second thing to consider, is the opportunities available for selling something. In yoga example, you can sell yoga mats, or yoga ball. So there is a scope. Third, you need to check the competition online. If the competition is too high, then you need to be smart. For yoga, there is so much competition. So you can make it unique like 'yoga benefits in Las vegas City life'. This way you will have low competition. But, make sure to check people in Las vegas are searching for yoga. The best thing that happens for writer is they can turn their passions in blogging topic. So how to know what are your good traits? List down all the topic you have in your mind like favorite movies, your wish, your fears, your goals and then narrow it down to something which you can write, has a market and you can come up with a variation. There are many blogging platforms available. The free one's come with an unprofessional domain like yourname.blogspot.com or yourname.wordpress.com. Just search for blogging platform and choose yours. Or you can buy a domain name like yourname.com and hosting and then choose your blogging platform. This way you will have a professional looking name. Don't worry if you aren't much technical. I will suggest you the following three stages to get out of your comfort zone. 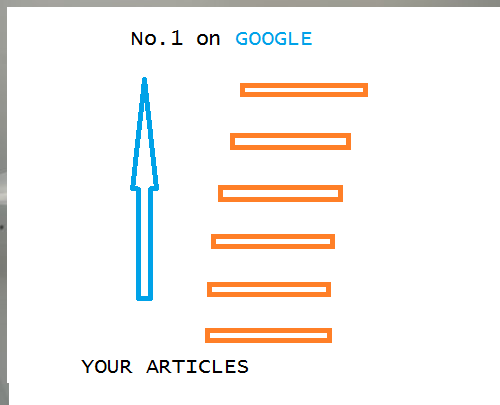 → Go to Blogger.com and start a free blog at Google. → Practice writing some sample post and getting a hang of blogging platform. Take your time. →Now buy a domain name and hosting plan. They often have a tutorial for every blogging platform. You can try Godaddy.com for that. 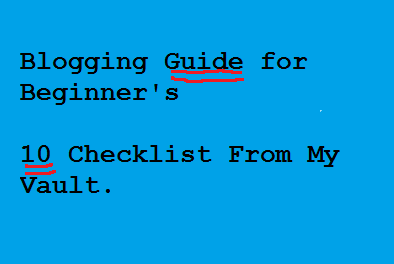 Here are two links to help you set up domains on blogger and wordpress which are popular blogging platform's. Most of the blogging platform comes with some default settings like your tagline, sidebar widget and stuff like that. Analyze your blog and modify anything that is default to your custom settings. For example a blog might have 5 sharing buttons, you can only keep which you want. Your name might be Admin, you can change it your name and so on. This way you have now set up your blog for the readers who might come. Now, make sure to add the design and some logo. For example if you wish to write about gardening, you can have a transparent image behind your blog post. Some green grasses around the corners and so one. You need not worry, many free templates are available. For logo, you can be creative and make some design. Many free logo creator are also available on the internet and some offer paid services too. You can check it out and go for some uniqueness. Once you have everything set up, you can simply go ahead keep drafting post ideas and eventually start writing. You choose your style of writing, number of words and passion. The best way to learn along the path and increase the strength of your own writing is to read blogs in your niche. Go ahead subscribe to some quality blogs and see how they come up with ideas, their writing style and their take on the suggestion. You don't necessarily copy everything, you must take the hints of learning and shape yourself to grow for the next post you write. The toughest part is to write consistently with discipline. Many people start their journey, but end in near future too. Make sure you get yourself a timetable and stick to it. Whatever results you might be hoping, you need to keep on creating great content on a regular basis. Doesn't matter if you wish to write it weekly or monthly, just make sure the piece is worth at least in your own eyes. You shouldn't focus on SEO right away. Because if you do that, then you might hinder your learning path. SEO should be learnt and implemented in phases while you are growing on inside. Once you hit your 100th post, you can do a check on your progress and then work on SEO part, because many try to master it initially and get off track on content creation goal. Content is the core of many blogs, whether it maybe video, image or text. Your prime focus should be on writing and honing your skills. To give you a basic idea, SEO = Search Engine Optimization. It basically means making your blog easily accessible to many search engines out there, especially Google. Google traffic is considered godly. It can be the deal breaker or deal maker for your blog's success. Anyway, remember keep on writing and let's learn each piece one at a time. Blog post should have some things which should entice the overall appeal. You can choose the number of words in your blog. If I had to say, keep it minimum 100 words. The more the better. Just don't bore the readers. Keep them engaging and they will want more from you. The first paragraph should title should clearly convey the message what the blog post will be all about. If it doesn't then many would just go away from your blog and that isn't a nice sign. The conclusion should be short and to the point. Many prefer reading conclusion first and then the post. So the head and tail of your blog post should be killing it with their impact. No matter what, your blog should have at least one media, preferably an image. Try to make it relevant to your blog post, this way you can boost the sharing and visitors to your blog. Make sure you have share buttons which can be seen easily. That is the best way to get some nice views to your blog post. We all love our content being shared, right? This one is tricky. We all have friends on social media, but just don't share your blog post just like that. Many of your friends don't wish to read what you write. The best way to get some readers to your blog is to join related groups on facebook or google plus and commenting. With facebook and google plus, depending on the viral nature of your blog post, you can average from 2 to 20 visitors, even more if you are lucky. With commenting on other blogs in your industry, you will entice them and sometimes others to visit your blog. And if it is good, then they will share it and then people will come even more. Remember to do this, as you won't get search traffic right away. It comes more naturally and then working on your SEO. Remember don't always share your stuff, share other people's work too. If you expect to only gain, but not give then you will not succeed much, even in life. Whatever your reasons are for blogging, remember if you don't enjoy, you will get bored and less motivated sooner of later. This will harm your blog post and the overall traction will be not as expected. You will get poor performance, which in turn will make the things even worse for you. Remember, whatever you do, put all your effort and likeness in it. The results won't come right away, but with sheer effort in the right direction, you will taste the success. Sometimes, the best comes when everything is working against you. Anything that comes easy doesn't look good, so treat your writing likewise. There will be times when you will be sad, sometimes you won't come up with ideas and so on. But, despite everything, if you push yourself for that one more step, then you will see the impact you can make in the world. It just gets better with a positive approach. Comments makes us feel good, the more comment we garner on our blog, the more successful we feel. It has more than just that. Comments add content to your blog which can add additional traffic. Also, you can make a relationship with the people who comment and they might keep coming forever, increasing your traffic. Make sure it is easy for people to make comments on your blog. The more easy it is, the more people will comment. The best way to encourage comments is to ask readers at the end of blog post. You can ask their opinion or throw an interesting question and the discussion shall begin. Now, on a similar note, you can encourage people to join your feedburner's list or any email service list. So, anytime you make a new post, your fans can be notified and you will get the initial traction needed to lift your post up a bit. No matter in whichever field you are, there will always be times, when you feel low. Remember results comes only with due hard work and by being patient. Blogging sometimes doesn't produce results even for longer duration. Sometimes you might be doing everything right, don't worry. Just keep tweaking your strategies and be patient once again. The most rewarding things in blogging comes often over a long span of time. If you wish for short term goals and rewards then you might get hit very hard. Never leverage your talent in focusing in short rewards, instead go for longer and dependable outcomes. We all need little helping hand and sometimes guidance to get started. I learnt my lesson, one at a time and grow myself. Keep a track of yourself and don't go too fast or too slow in your blogging journey. Remember, you need to see your competitor's as a guide to grow self. See, learn and grow should be your mantra in blogging. How nervous where you on your first day of blogging?